Seeing a total solar eclipse is often described as a once-in-a-lifetime experience. However, for many who have experienced totality, once-in-a-lifetime is simply not enough. They want more, and are willing to go to great lengths often at great expense to repeat the experience. What is it like to experience totality? What is it about the experience that motivates these eclipse chasers? Can eclipse chasing actually be described as an addiction? An eclipse-chasing psychologist delves into the experiences of those who chase eclipses to reveal why a total solar eclipse is so powerful, and what motivates people to travel around the world to experience totality. This book is about people who are passionate about the total eclipse of the Sun, one of the most amazing spectacles in nature. Experiencing a total eclipse is a life-changing event for many people, and is described by some as an unforgettable event to experience at least once in your life. However, there are many people who believe that once in a lifetime is not enough. These people – eclipse chasers – travel every 18 months or so to very specific locations around the world in order to experience a total solar eclipse. What motivates eclipse chasers to do this? 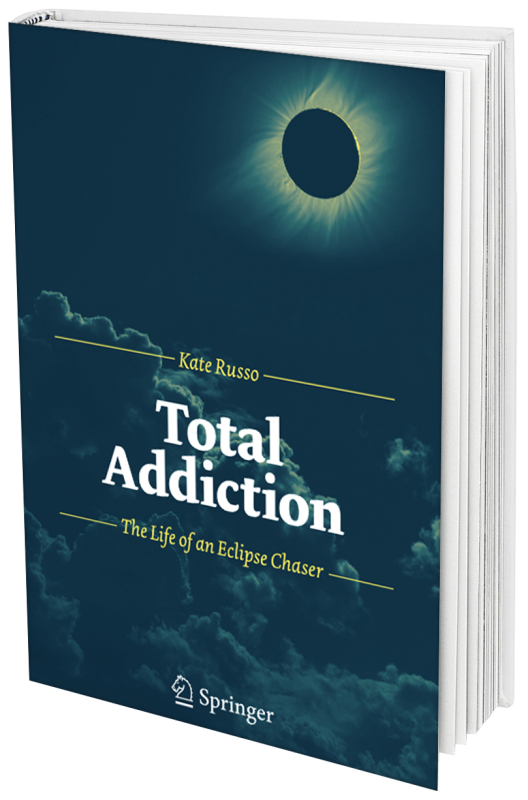 This book gives an insight into the world of the eclipse chaser by first describing the experience of totality, and then exploring their lives and motivations. Those who chase eclipses will find this book useful in helping them to understand their experiences. Those not lucky enough to have seen a total solar eclipse will obtain a glimpse into the intriguing world of the eclipse chaser, and perhaps by the end of it, will want to experience totality for themselves. 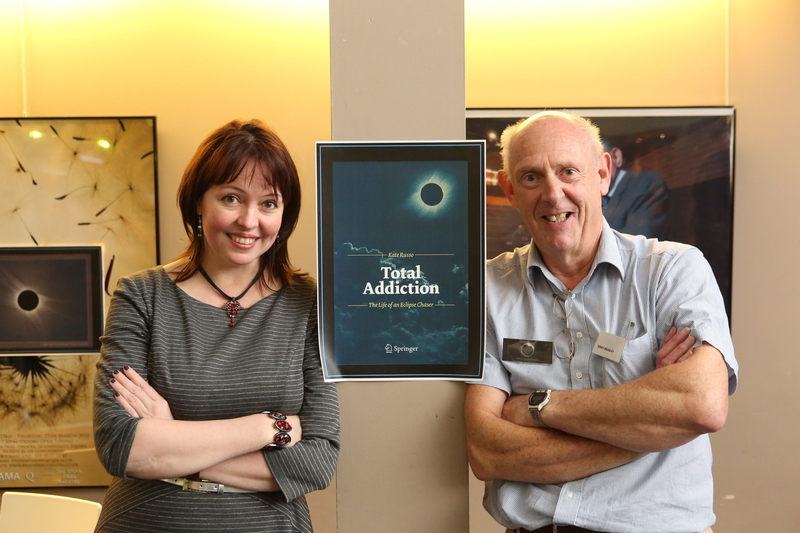 Total Addiction became an Amazon bestseller based upon pre-orders, and was No 1 bestselling book by Collins Bookstore in Cairns after the total eclipse in November 2012. The book has been well received by eclipse chasers, and also by those who have not yet seen a total eclipse. When researching the book, I undertook a survey of eclipse chasers to describe what is currently known about the people who chase eclipses. I also included a wonderful essay on an eclipse trip by Dava Sobel, and an emotive eclipse-related poem by Diane Ackerman. I then detailed the accounts of nine eclipse chasers. By undertaking a phenomenological analysis of these nine interview accounts, I then was able to describe ‘the essence’ of the experience of a total solar eclipse – what it is like to experience totality. Sir Patrick Moore – British Amateur Astronomer and Author / Broadcaster. Sadly passed away at age 89 soon after our amazing and inspiring interview, leaving a legacy of having inspired millions. Terry Moseley – Retired civil servant, and media officer for the Irish Astronomical Association. The go-to person for any question, and project mentor. Dave Balch – American Speaker and author. Great storyteller and is passionate about eclipses and life generally. Rick Brown – American commodities broker and eclipse tour operator. There is no problem that this man cannot solve. Jay Anderson – Canadian meteorologist and eclipse chasing weather guru. The man every eclipse chaser consults with about the weather. James McClean – World citizen, artist, photographer and nature lover. Will move anywhere to get a bit of eclipse / aurora action. David Makepeace – Canadian filmmaker and speaker. Makes eclipse documentaries that elicit goosebumps every time. David also wrote a detailed review of the book that can be seen here. Sue Garlick – British drainage engineer. Loves travel and lives life to the full. 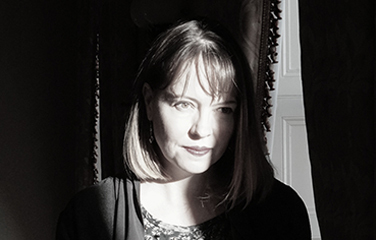 Chris Pigott – Scottish film and music connections. All about enjoying the groovy things in life. The book is available in all good bookshops, and can be ordered via Amazon by clicking this affiliate link. Please do leave a review on Amazon if you have read the book – it does matter! You can also visit the publisher’s website and download excerpts at Springer.